In the previous episode of Bigg Boss 12, we saw that Nirmal Singh and Romil Chaudhary got evicted from the house. The Jodi was quite controversial during the past week. On Day 15, the nomination process for this week has been started and the nominations will be decided by a new task. 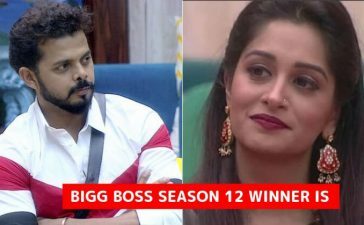 In the promo video, Dipika Kakkar explained the task. In the task, the singles have to play kidnappers and one member of the jodis will be kept as the hostage while the other half of the Jodi has to fulfill the demands of the kidnapper. If the Jodi fulfills the demand of the kidnapper in the limited time, the kidnapper will be nominated for this week. However, if the Jodi does not fulfill the demands, it will be nominated. Hair, Clothes, Makeup Or Anup Jalota? In the video, Deepika played the kidnapper and she kept Anup Jalota as the hostage. She demanded Jasleen Matharu to cut her hair to the shoulder length and to destroy all of her clothes and makeup. Jasleen was eventually thrown to a dilemma as she could not decide what to do. The rest of the contestants tried to help her out in this one but she had to make a choice. What will she do? We will find out in tonight’s episode. In another promo video, we saw that Romil Chaudhary has reentered the house and this time he has a new partner. His partner is none other than the first wild card entry of this season, Surbhi Rana. Everyone was shocked after the return of Romil and no doubt this escalated the excitement in the show. It is hard to wait for tonight’s show. What do you say? Share in the comments.